After payment you get a link on which you can get the license key with the game Sid Meier's Civilization V: The Complete Edition from the official supplier - the company "Buka", for activation in the STEAM system. Sid Meier's Civilization V: The Complete Edition is the complete Civilization V collection for those players on the Mac who are yet to get to know this game and find out why Civilization has become one of the best game series and how the ambition to make "one more turn" is not gives you a break from the game. 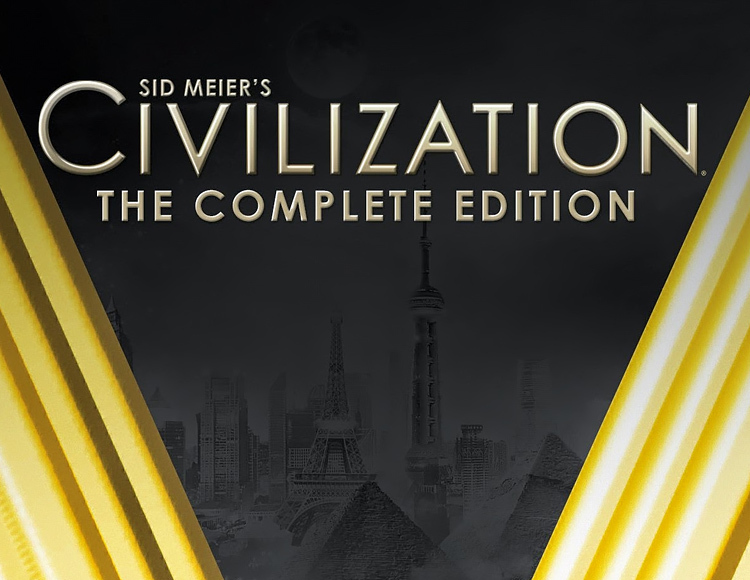 The Complete Edition includes the original Sid Meier's Civilization V strategy, which won the title of "Game of the Year" in 2010, two additions worthy of praise ("Gods and Kings" and "Brave New World"), as well as all the released additional materials . All this you will find in one set and at an attractive price. Endless possibilities for a new game: Play for any of the 43 historical leaders and lead the war on land, sea and air, engage in diplomacy and espionage, base religions and discover new technologies - all in order to create the most powerful empire in history of the world. Scaled battles: Wars between empires are played out on land and on the sea. The possibility of firing at a distance will force you to carefully develop a strategy to achieve victory on the battlefield. Diplomacy: Negotiate with the most insidious rulers known to the world, each of whom has his own plan of victory. The city-states become prizes, for the control over which the great powers of the world will wage a diplomatic war. Religion: Raise the great prophets and create your religion, which you can change for yourself and develop. Espionage: Send spies to foreign cities where they can reconnoitre, steal the latest technology from your rivals and prevent union alliances with city-states. International trade: Turn your cities into international trade centers. By concentrating in them trading routes along the land and on the sea, you will ensure wealth and prosperity for your people. Network game: Fight with other players for power over the whole world.